Our 6 meter Hex at night, for a 50th Birthday Party. Uplighters for an atmospheric outside bar area, and a link to the house! Our purpose-built bar being used for a centre piece for a garden champagne party. 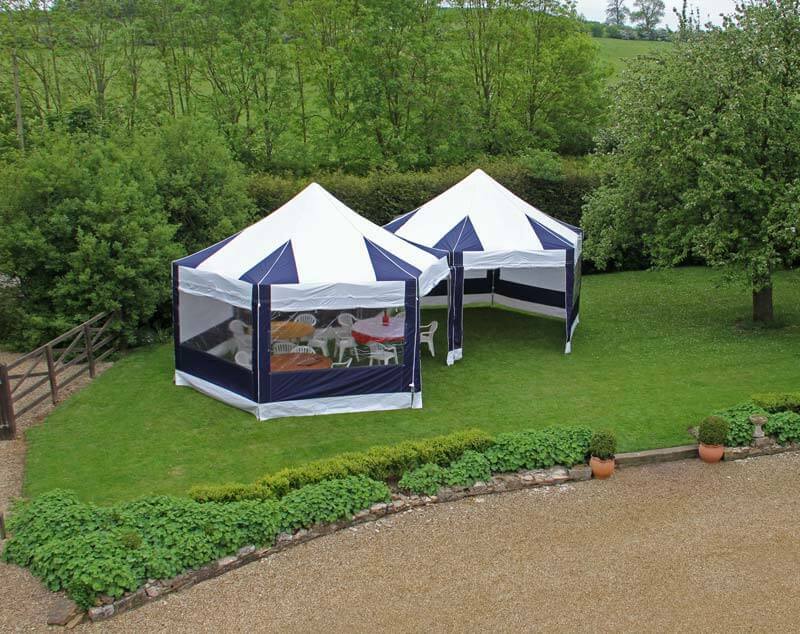 Our tents used to create an airy cover for 50 people for summer drinks on not such a “summery” day!